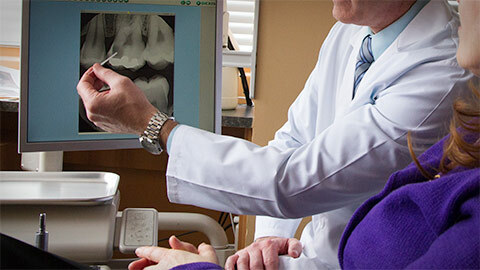 We offer root canal procedures and other endodontic treatments. These treatments may become necessary when internal damage of a tooth becomes fairly extensive. This damage may include decay, for example. All of our procedures are conducted by trained and experienced professionals. Most people fear root canals, but really they are quite simple - and relatively painless. The majority of fear about root canals is culturally constructed. When the pulp (the interior nerves) of a tooth becomes damaged or decayed, a root canal is often necessary. Dr. Sorensen will enter the tooth, remove the damage and then seal it back up. This way, extraction of the tooth becomes unnecessary. If you need more information about Endodontics in SE Calgary, contact us today.